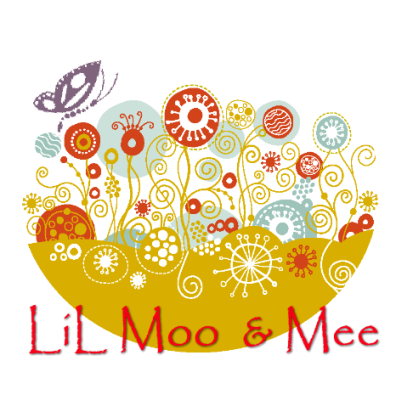 LiL Moo & Mee: How did LiL Moo & Mee come about? I use to work upto 70 hours a week for a major Australian retailer in Management so weekends were a must. In 2008 we fell pregnant after our 11th IVF transfer only to have him at 25 weeks....15 weeks too early, so work stopped and I resigned (good riddance as far as I am concerned as after 20 yrs of service I didn't hear anything from anyone in the company except my staff). In the mean time we were building a house in Marysville, Australia, moving from the Mornington Peninsula. I didn't get to see alot of the house being built as my little man was in NICU for 153days. In February 2009 a major bushfire came through Marysville and wiped out the entire town....except our brand new home survived, along with about another 13, but unsure of damage for 6 weeks as it was a crime scene. So moving up to an empty town in May with a 8 month old baby on oxygen wasn't my idea of how it was suppose to be. He kept me on my toes and after working 20 yrs I was ready to do nothing...ended up I had no choice as there was no one around anyway, we were the strangers in the town, the town we were told was so friendly but now they had other concerns...their lives had been ripped apart so we were just the new people. After a while when my little man became more active I found myself needing to be kept stimulated and not being a reader (yuk), I noticed my friends starting business on Facebook. I have always loved Home Decor and colour and after speaking to hubby I thought can't hurt will just give it a try....so I made my first cushion cover and can I just say.....I HATE ZIPPERS!! Spoke to my hubby and he said go for as did a friend of mine. So as from today I now have 980 likers since December 2010 and still loving every cushion I create from the fabric my customers chose.